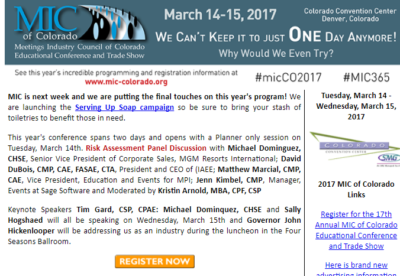 Want us to take the guesswork out of it for you? Tell us your budget and goals, and we’ll customize a package for you. 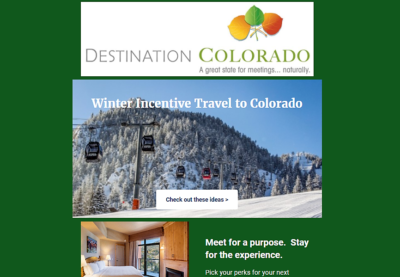 Destination Colorado members have the exclusive opportunity to advertise in Destination Colorado’s monthly e-newsletter and/or on our website. 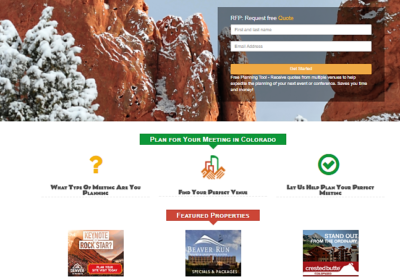 Connect with meeting planners, event planners and incentive buyers locally, around the country and internationally by advertising with Destination Colorado – the industry expert for meetings in Colorado!